Key Difference: Drones are semi-autonomous vehicles that are attached to a larger spacecraft, and are designed to expand the ship's launching capabilities. RC Planes are controlled with a handheld radio transmitter, which communicates with a receiver aboard the aircraft. Drone and RC Plane are somewhat one and the same thing. A Drone is a big RC (Radio-Controlled Plane). A Drone is commonly known as an Unmanned Aerial Vehicle (UAV). It is an aircraft without a human pilot on plank. The vehicle is controlled automatically by computers, or it can also be operated by a remote control. The use of drones has grown quickly in recent years because unlike manned aircrafts they can stay aloft for many hours. Compared to a military aircraft, they are much cheaper; and are flown remotely so there is no danger to the flight crew. 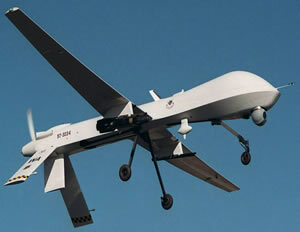 There are different types of armed and surveillance drones in Iraq and Afghanistan; the US have two separate ‘squardron’ of armed drones – one run by the US Air Force and one run by the CIA; the UK has several types of surveillance drones, the most popular is Watchkeeper, and many more drones are available in other countries. Drone may also be used in many other contexts, as mentioned above in the Dictionary.com definition. 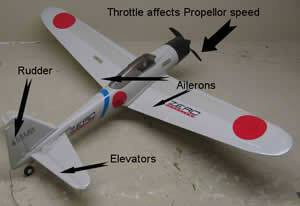 An RC plane, short for Radio-Controlled Plane or RC Aircraft is a flying machine that is controlled by an operator. A person stands on the ground and operates it with a hand-held transmitter. There are basically planes that do not have a cockpit, hence no pilot. Everything is managed with one single remote control. In simple terms, RC planes are controlled with a handheld radio transmitter, which communicates with a receiver aboard the aircraft. The receiver directs the aircraft’s servos to move the control surfaces based on pilot input. It is a model of a real airplane and is flown mostly for entertainment. It has become a hobby and is growing worldwide. It came into existence in the late 19th century. There are many types of aircrafts or planes like park flyers and trainers. Some models are made to look and operate like a bird instead. RC Planes are controlled with a handheld radio transmitter, which communicates with a receiver aboard the aircraft.